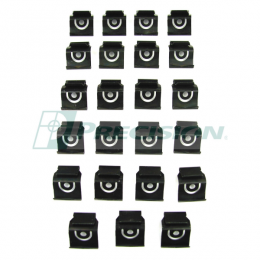 Rear window trim clip kit - 23 pc. These are the clips that attach the stainlees molding. Top quality, made to original specifications.